Since 2009 we have reviewed and revised the Emergency Medicine and Critical Care (EMCC) blog/podcast database. 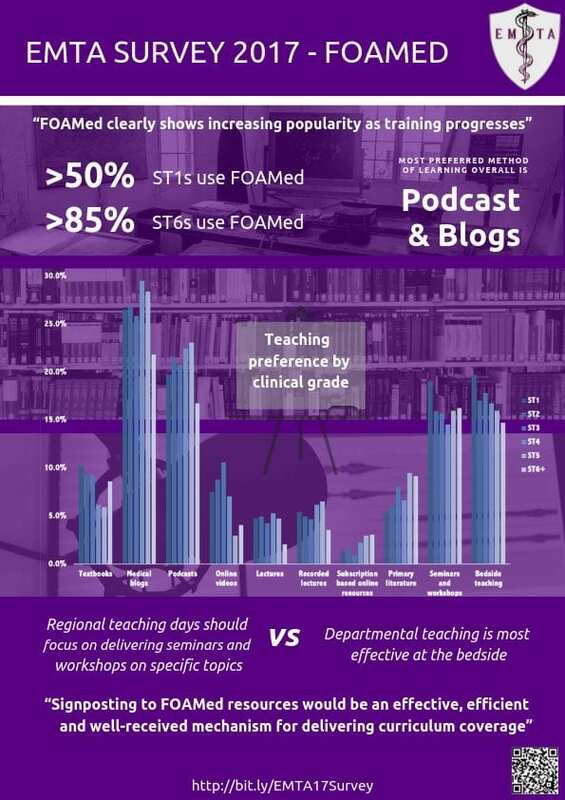 It has been a great way to add new resources; marvel at the global collaboration and wealth of educational resources in the #FOAMed blogosphere and analyse the trends in the use of social media, and blogging platforms. In this 2018 analysis we review the #FOAMed blogs, platforms and social media integration of Free Open Access Medical Education and compare growth with the 2012, 2014 and 2016 reviews. Review of prospectively collected data pertaining to Emergency Medicine and Critical Care (EMCC) blogs and podcasts providing Free Open Access Medical Education (FOAM) with no barrier to entry (e.g. readers not required to logon to site or pay to read/listen). 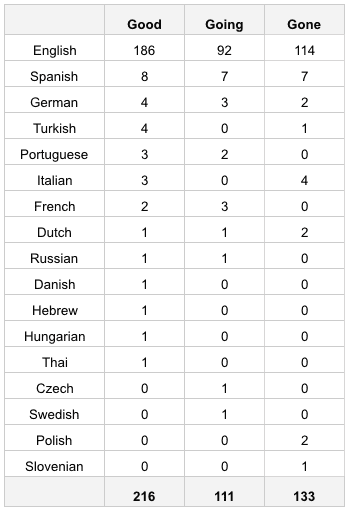 EMCC blogs are now written in 16 different languages (up from 6 in 2014) and originate from 40 different countries (up from 24 in 2014). Global reach increased from 224 (2014) to 227 countries in 2018. 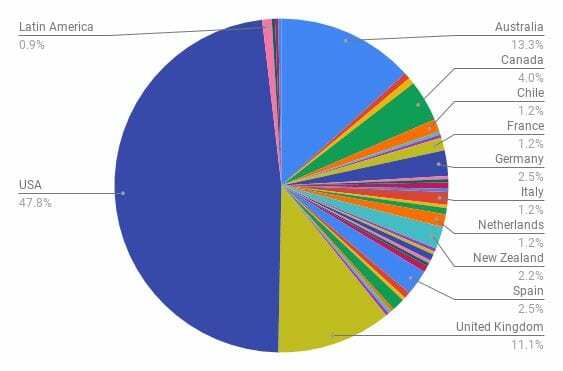 Below is an example of reach and country engagement with an English language based FOAM blog (LITFL) using the Google analytics data for 2018. Scroll over the interactive map to reveal Geo-located visitors per calendar year. WordPress remains the blogging platform of choice being used by 70% of EMCC bloggers (up from 44% in 2016). 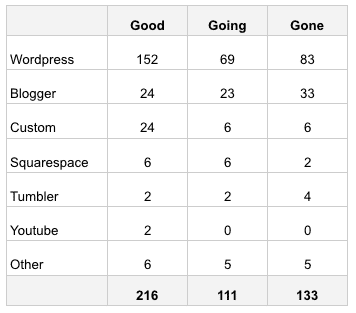 The majority of these blogs are self-hosted with wordpress.org (63% of wordpress blogs). It will be interesting to see how the arrival of Gutenberg in WordPress 5.0 will affect these platforms and users. Successful active blogs and podcasts had previously shown an increasing propensity to use social media to engage in online discussion and information dissemination. 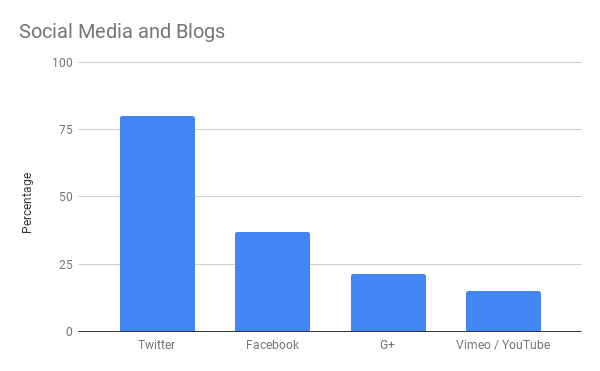 Google+ use also increased from a low of 16% (2016) to 20% in 2018 with some active community G+ pages leading the way. Media accounts such as YouTube/Vimeo held steady, up slightly from 12% (2012) to 15% in 2018. The FOAMed hashtag has become a useful means of disseminating media and medical education posts and advances in the twitter platform have made it easier to search, review, share and comment on posts/podcasts. 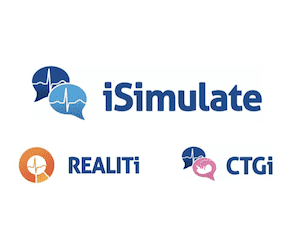 We previously used Symplur to analyse the use of the hashtag; the participants; and the global reach – however, this is sadly no longer a #FOAMed resource for large data collection. A saturation point has been reached. The rate of attrition has overtaken the rate of growth for the first time since 2002. In part this is because we have reached a natural saturation point. In part the bigger blogs have become established and incorporated enthusiastic authors from smaller blogs. There is only so much information, so much time in the day both to prepare the material and digest it…sometimes life just gets in the way. Then there is the cost of FREE, and it is huge. This cost, both in dollars and in hours, is undeniably associated with some of the attrition. Time: Blog maintenance, platform design/integration, writing, editing – all takes time. Some solo blogs have been incorporated into larger blogs or College/Hospital websites where the administrative and technical load can be spread. This saturation point was inevitable, with so many educational resources being shared freely and without reservation through FOAM. I don’t think it is the end of the movement, but will certainly heralds a major shift in the landscape. Free information will still be produced and still disseminated with free social media platforms…but we may see a smaller number of significant stakeholders. And it is changing from being just about medicine to showing some teeth too in terms of policy, advocacy, and action! The rise of #medtwitter has brought forth some level of community regulation (see #GuGate) and activism (#womeninmedicine, #ThisIsOurLane). Is FOAM re-forming & re-assessing – I am sure it is but wouldn’t we expect that to happen in any community? My feeling is community is still active (and influential to me) even if the standard metrics static.. Fascinating review of the changing landscape… as a new #FOAMed creator I can see how frustrating it is to try to make noise in a space that is crowded by so many established websites and personalities with such huge followings. It’s a HUGE time commitment to be consistent to grow a following. That is an impressive bandwidth bill! Greenland is a territory of Denmark. Don’t you mind adding the blog https://globalems.net/blog-globalems-foamed/ of http://www.globalems.net as it supports global emergency medicine strenthening and spreading news and posts about global emergency medicine topics. It is the replacement of xaqu1n.